Around 50% of the population hold a driving licence, so it is fair to assume that a large proportion of those people drive a car. With anything, wear and tear occur after heavy long-term usage and problems can happen. If you ever have any issues with your car, a mechanic is your first point of call. Freeway Exhaust and Tyre Centre, based in Tunbridge Wells, are a highly experienced car centre. With over 30 years of experience in the industry, we know exactly what to do when a customer comes to us with a problem. If you are looking for the best Mechanic Tunbridge Wells service please get in touch today on 01892 520022. One of our friendly team will be able to book your car in so that it can get checked out by one of our specialist technicians. We would always recommend that you use a trusted mechanic whenever you come across any issues with your vehicle. When it comes to any kind of repair, you’ll want to ensure that an experienced individual is dealing with your car. In any industry, experience is key. Repairing the car yourself could cause further damage to your vehicle if you don’t have much experience. The best thing to do is to bring it to our centre for a check. We will then advise you on whether the repair needs to be done by an experienced mechanic or not. If your car has any issues with the engine, transmission, warning lights come up or you have any other problems, then please bring the vehicle to Freeway. We have a specialist team to diagnose any issues and will make sure that you fully understand what the problem is. You can then decide whether to get your repair done at our garage. We never pressure our customers to get a repair done that isn’t needed. We will only advise you on what should be done and we will not waste your time. If your mechanic is pressuring you to spend money on repairs that don’t sound right, make sure you get a second opinion. Car maintenance is important and if you ever have any doubts, take it to a garage. It is much better to do this than to make the damage worse. Whether your car needs its breaks repairing or there is a problem with the engine, Freeway has the tools and expertise to fix it. When choosing a mechanic to look at your car it can be daunting, due to the fact that there are so many to choose from. We have constructed a list of some of the main things to look out for when browsing. It is important that you do the right research to ensure you have the right information you need to make a calculated decision. Search around and have a look at the various mechanics in your local area, and establish your main options. You can do this by searching for ‘Mechanic Tunbridge Wells’ on Google, or any other similar variation of this, and plenty of options will come up. One of the easiest ways to check out mechanics online is through reviews. Reviews on sites such as Yell, Google My Business and even on the company’s website can give you a huge indication of their service levels and general online presence. Bad reviews can help you steer away from untrustworthy companies. This will give you an idea of what the mechanics are like. Ask your friends and family members for mechanic recommendations. If you know that your family member or friend has used their services before and had a good experience, you’ll feel much more confident in using their services yourself. This will also allow you to find out more about the company. It is recommended that you speak to the mechanic or car centre directly so that you can find out what they are able to do for you. Some centres are more specialised in certain areas of car mechanics over others, so it’s important to find out which one can provide you with the best service. Any car that is at least 3 years old requires an MOT test. The Ministry of Transport (MOT) test is an annual test that checks whether a vehicle is road-worthy and safe to be driven. There are several different elements to the MOT test and your vehicle must pass all of these in order to pass the test. This includes lights, suspension, wipers, tyres, brakes and even the bodywork of the vehicle. We are able to perform MOT tests on all class 4 vehicles, with up to 8 passenger seats. We also offer a free retest within 14 days of the initial test as we can take care of the vehicle repairs before re-testing. At Freeway, we also offer an MOT reminder service which allows our customers to enter their details and receive a reminder when their due date is coming up. Tyres are an extremely important part of your vehicle as they are the only part that comes into contact with the road surface itself. We stock a range of different high-quality tyres to suit all vehicles. If you require a new tyre then this can be purchased easily at Freeway. Our technicians will also fit your new tyres whilst you are there, ensuring you can get back on the road as soon as possible. If you are unsure as to whether we will have the specific tyres that you need then please just give us a call and we will be able to advise you on our stock availability. We always ensure that our customers receive the best quality tyres possible. We have a highly experienced team to fit, repair or replace any exhaust system. Our stock of exhausts includes a range of industry leading brands such as Klarius, Walker and Scorpion. For all exhausts, we offer a 2-year warranty, so we will replace or fix it if there are any issues within this time period. We also offer a 1-year warranty for catalytic converters. If you are concerned about the performance of either of these, then please bring your vehicle in and one of our team can check it for free! Although a car service is not mandatory, it is highly recommended that your vehicle is regularly serviced. Most car experts would recommend that your car is serviced at least once a year. We offer two options at Freeway for this. Either you can go with a full service or a simple filter and oil change. A full service will ensure that everything is checked over in order to identify any faults. Servicing your vehicle regularly will also make sure that your vehicle retains its value and prevent any future damage as the problems will have been identified during the service. It may not be a legal requirement but it is definitely an essential part of the maintenance of your vehicle. We understand how frustrating it can be when something goes wrong with your car, which is why we offer a Fastfit service. This allows us to provide quick and easy solutions to all customers, no matter what the problem is. Getting your car back on the road as soon as possible as our number one priority, but we will never compromise our quality to do this. Our experienced technicians and mechanics work together to complete your repair as quickly as they can, whilst ensuring that your repair is completed to the high standards we maintain. When your car needs fixing, you can trust Freeway. 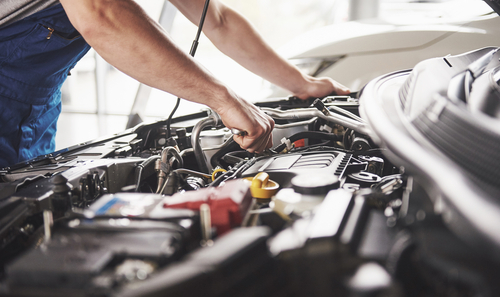 In many cases, we can get your car up and running on the same day. Our mechanic services are second to none and we provide the best service in the Tunbridge Wells area. If you are looking for a personalised service that is tailored to your needs, then Freeway is the go-to choice if you need a mechanic. Freeway is a family run business, based on St John’s Road, and have a great team of experts who are ready to fix any issues you have with your car. We take pride in our ability to provide an excellent service for each and every customer. In comparison to national chains, our personal approach and feedback from our customers proves to us that our service will beat all national chains for value, expertise and reliability every time. We will always do our best to resolve an issue and ensure that our customer leaves satisfied, and with a working vehicle! If you ever have any concerns in regards to your car, simply give us a call and one of our team will help to find you a solution. Alternatively, you can visit our centre directly in Tunbridge Wells and we will check your car over for free. Freeway Exhaust & Tyre Centre was established in 1983 and is one of the leading mechanics in the Tunbridge Wells area. From MOT testing to tyre fitting, we offer a variety of different services to our customers. If you are looking for a reliable mechanic in Tunbridge Wells that will deliver an excellent service, then Freeway is the company for you. Call Freeway today on 01892 520022 and discuss your requirements with one of our team.